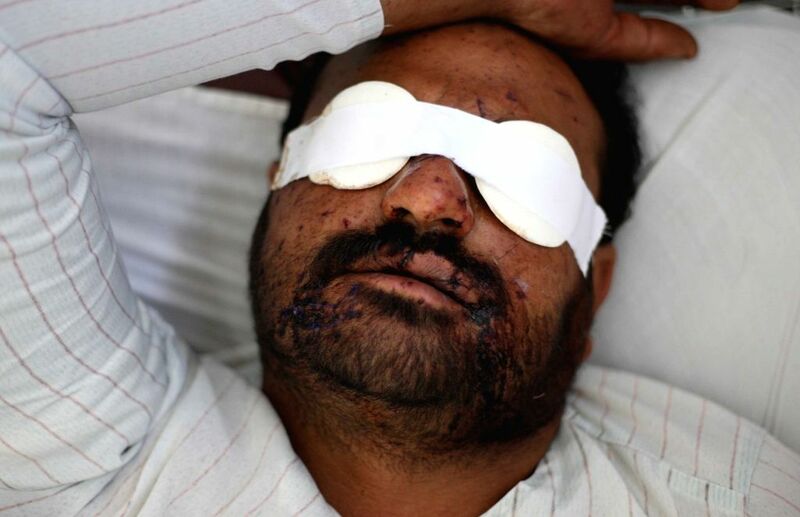 KABUL, July 16, 2014 - An injured man receives medical treatment at a hospital in Kabul, Afghanistan, July 16, 2014. A vehicle packed with explosives was detonated at a busy market in the district of Urgun in Paktika. The death toll reportedly reached 89 and many others were injured, making it the worst single attack this year. No group has claimed responsibility for it yet. 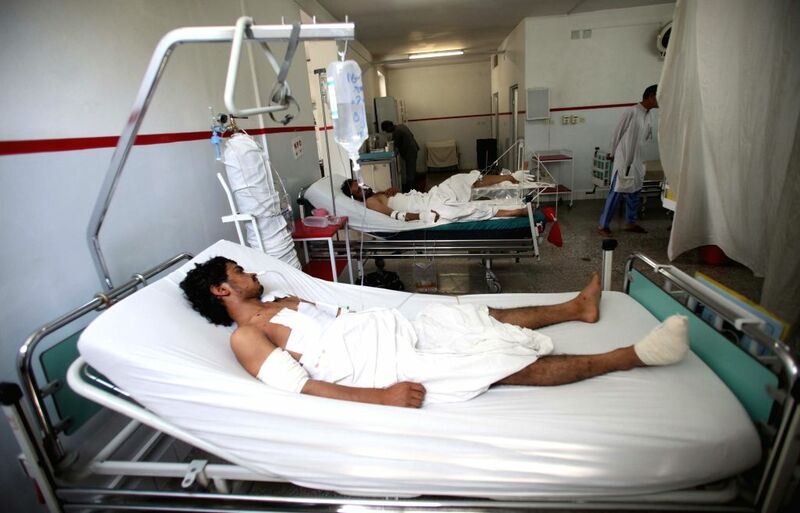 Injured men receive medical treatment at a hospital in Kabul, Afghanistan, July 16, 2014.